It will be released in 2019. The first trailer for the upcoming live-action retelling of The Lion King has been released. Starring American musician and actor Donald Glover as Simba and Beyonce as Nala, the film is due to be released next year. 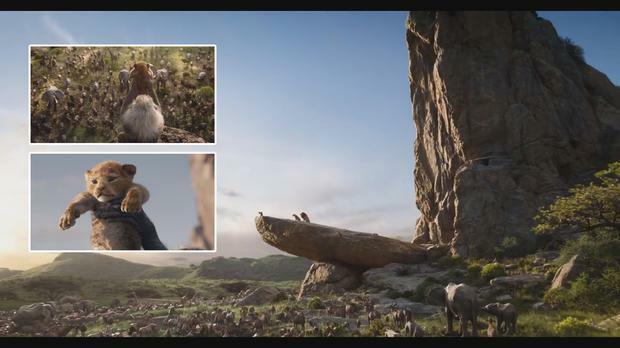 The first trailer – released to coincide with Thanksgiving in the US – features James Earl Jones narrating over the famous scene of a young Simba being held aloft over the kingdom. The Lion King, directed by Jon Favreau, will also star English actor Chiwetel Ejiofor as Simba’s evil uncle Scar, John Oliver playing Mufasa’s advisor the bird Zazu and John Kani voicing the baboon Rafiki. Alfre Woodard will voice Simba’s mother Sarabi, child actor JD McCrary plays a young Simba and Shahadi Wright Joseph is the young Nala. The Lion King tells the story of heir to the throne Simba, who must fight to take his rightful place as king when tragedy befalls his family. The Lion King will be released on July 19 2019. Craig Simpson The family of JRR Tolkien have distanced themselves from an upcoming biopic about the author and do not approve of the new film. The end is nigh and in anticipation of Avengers: Endgame, which hits Irish cinemas on Thursday, Marvel has shared all the post-credits sequences from the MCU. Sorcha O'Connor American actress Chloe Grace Moretz has told how Irish director Neil Jordan put her at ease when filming tough scenes for new psychological thriller Greta.